Home» modern technologies » What is zero emission vehicle. How zero emission car and electric car is developed. What is zero emission vehicle. How zero emission car and electric car is developed. Zero emission vehicles are those which is free from polluting elements while the engine of the vehicle is in running condition. 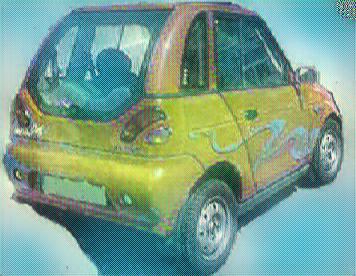 There are certain vehicle which comes in the category of zero emission vehicle. This also includes electric vehicle, bicycle, gliders etc. The vehicle uses hydrogen energy or hydrogen fuel cell also comes in the category of zero-emission vehicle because hydrogen energy is a type of clean energy. Although it is not totally emission free energy but it only affects the place where the power generation takes place. There are many types of pollutants which needs to be controlled in a zero emission vehicle. These are oxides of nitrogen, carbon mono oxide, carbon dioxide, lead etc. In some cases we just shift the location of the gases to emit. For example if we use electricity or natural gas, the gases will emit in the premises where the power generation is going on. After that, this energy is transferred to the vehicle. A term related to zero emission vehicles is important that is called well to wheel emissions. When the electrical energy is used to provide the power, the batteries will be used which needs to be change periodically or frequently. In the electricity generation the emission of harmful gases like carbon dioxide, greenhouse gases etc. takes place. But it can be controlled by using appropriate method of energy generation i.e. renewable energy resources. If we generate the electricity through the methods like solar energy, wind energy etc. the emission will be very less, this theory is called ell to heel emission.